Few place names conjure up such evocative visions as Zanzibar; from pure white sand beaches, Swahili culture and ruined Arab palaces, to unspoilt coral reefs and exotic food. The reality does not disappoint. 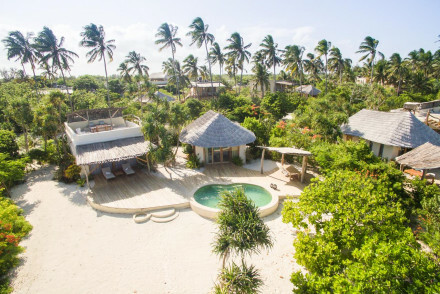 Some of the most interesting and best places to stay in Zanzibar are simple barefoot luxury lodges with plenty of character and natural beauty but relatively basic facilities. Most people spend a night or two in Stone Town and then head to one of the picture-postcard beaches for some serious down-time. Although luxury hotels with all the amenities are beginning to move in to the island, generally you're paying for a remote unspoilt location or romantic setting. Zanzibar has not yet lost its soul to the vagaries of commercial mass tourism so go now and enjoy it at its real, very real, unspoilt best. Explore the picturesque winding alleys and old Arabic-style buildings of Zanzibar's main town, Stone Town. Sun yourself on one of Zanzibar's many postcard perfect beaches. We recommend Nungwi beach for those looking to avoid other tourists. Embark on one of the island's 'spice tours' and learn about Zanzibar's most profitable of trades. Visit Prison Island and learn of the area's dark past (slaves used to be detained here). Also find a nature reserve for giant tortoises here. 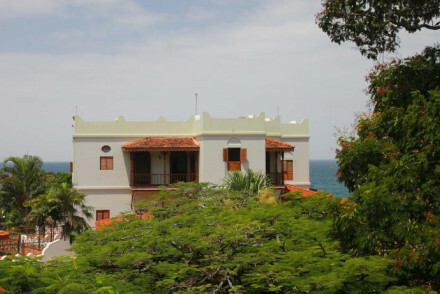 The Palace Museum or Sultan’s Palace is perhaps Stone Town's most historic building and also offers magnificent ocean views. 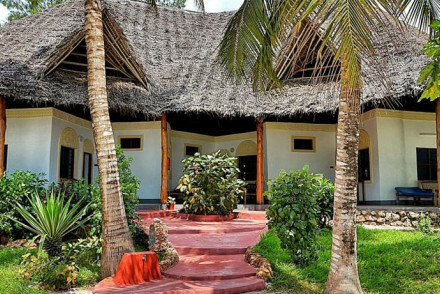 Just remember that our pick of the best places to stay in Zanzibar will get booked up quickly during peak season. So if you want to ensure a highly recommended hotel, get organised and book early! 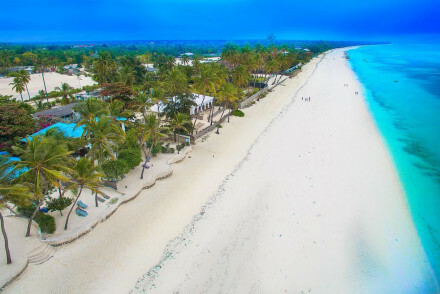 For an affordable introduction to luxury beach life, Zanzibar style, the Pongwe Beach Hotel on the island's East coast is excellent. It owns the surrounding land so a deserted beach is guaranteed. Another quiet budget resort popular with honeymooners and families alike is Shooting Star Lodge, with doubles from as little as $160 per night. Find boho-chic at its finest at Indigo Beach, located on a perfect swathe of powder white sand, and boasting a very attractive price tag. Experience boutique style on a glorious stretch of white sand beach at the aptly named Next Paradise Boutique Hotel. 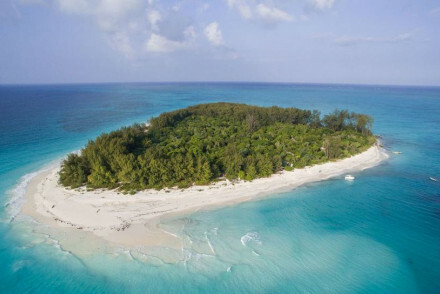 For those who simply aren't satisfied by Zanzibar's picture perfect beaches why not have a whole island to yourself at Chapwani Private Island? 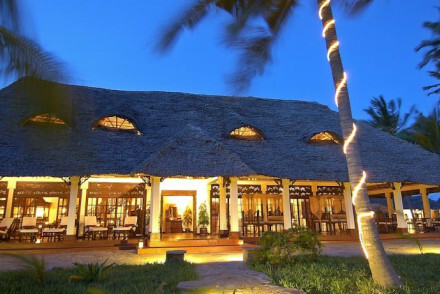 One of the best-known and certainly one of the most luxurious places to stay in Zanzibar is the Mnemba Island Lodge. 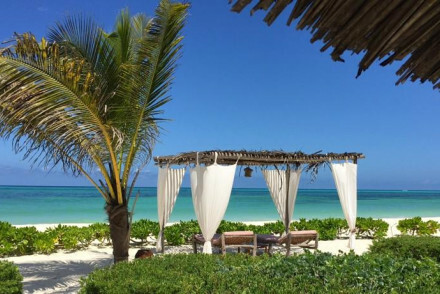 Wake up in one of the romantic thatch-sided suites built on wooden platforms over the white sand and spend days having your every whim tended to by your own personal butler. Beloved of celebrities - a Hollywood salary helps. Another lovely if fairly pricey retreat is The Palms. That the beach is white and perfect goes without saying and the comfortable accommodation is a mix of colonial and local styles. 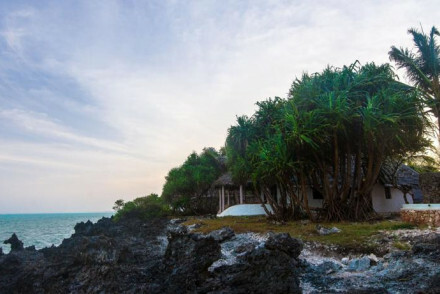 Fishermen and women will enjoy the Matemwe Lodge where fishing expeditions with the locals are a highlight. The bungalows and villas look out over the reefs of the Mnemba Atoll. 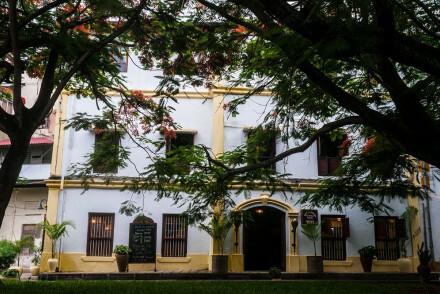 The closest thing to a hotel in our list is probably the Zanzibar Serena Inn in Stone Town. Reminiscent of an African Colonial Country Club it has white walls, dark wood furnishings and views over the Indian Ocean. 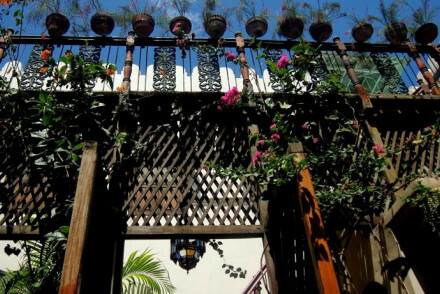 Beyt Al Salaam, a former tea house, offers beautifully atmospheric rooms mixing African and Arabic styles and houses a fantastic restaurant. Get a true Zanzibarian experience at Emerson On Hurumzi, a rambling Stone Town palace, filled with fabulous antiques and boasting verandahs that overlook the Indian Ocean. 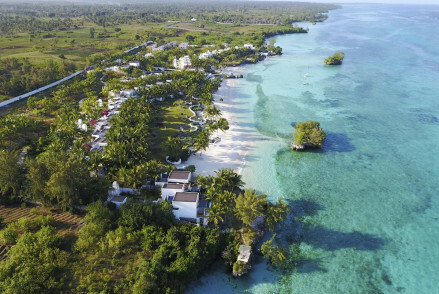 The award winning Robinson Crusoe-style eco lodge, Chumbe Island, offers state of the art, environmentally friendly bungalows along with an excellent restaurant and utter privacy. International flights to Zanzibar tend to go via Tanzania. The most convenient stop in Dar es Salaam. Ferries leave from Dar es Salaam and take around 2 hours to reach Zanzibar. Best time to visit - Zanzibar's best weather is found between July – Oct or mid Dec - mid Jan for warm dry days (around 26°C). March is cooler and quieter and ideal for diving. 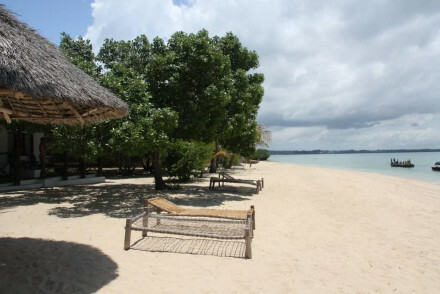 Browse through our list of all the best places to stay in Zanzibar. Expand your search to include all our recommendations in neighbouring Tanzania. Total relaxation - Embrace the slow pace of life- relax and rejuvenate in the spa, unwind on your private terrace and listen to the ocean. Beach Life - Make the most of the white sands and turquoise seas with snorkelling, diving, sailing, fishing and beachcombing. Families - Comfortable family rooms, plenty to occupy children with and a laid back atmosphere. Sailing - Take a local dhow or ngalawa cruise to the nearby reef and explore from above the water! Next Paradise provides an authentic Africa experience in a breathtaking environment. Spacious rooms, elegantly decorated with hand carved wood furniture and precious oriental textiles. Set along a white sand, palm-fringed beach, offering views of the Indian Ocean. Romantic and idyllic. Charming eco friendly lodges on a private island just off Zanibar. Rooms are simple but stylish, overlooking the beach and the vibe is laid back. Freshly caught fish is the restaurant's speciality. Great for families & perfect for a spot of post safari "R&R". A luxury boutique hotel with private villas set on a beautiful stretch of white sand beach. Lovely sunny rooms are all white on white with floor to ceiling windows and modern bathrooms. Ideal for both quiet romantic getaways or fun-filled family holidays. A stunning hotel reminiscent of a colonial country club. White washed walls, crisp linen, dark wood furnishings. Each room has a private balcony with beautiful sea views. Multiple dining options specialise in Swahili cuisine and seafood. A great spot for seaside family fun or romantic breaks. Romantic Break - Romantic suites offer fourposter beds and private hammacks, in the evening dine under the stars listening to live Taarab music. Beach Life - Right on Stone Town's seafront with a range of beach side activities from dolphin swimming to snorkelling and diving. Sights nearby - Explore the narrow lanes of Stone Town the only functioning historical city in East Africa. A tropical beachfront resort comprising of private stylish villas and bungalows. Secluded rooms have a traditional feel and most enjoy fabulous sea views. The spoiling spa offers various treatments alongside yoga and meditation. Featuring a high quality restaurant and relaxing pool area. 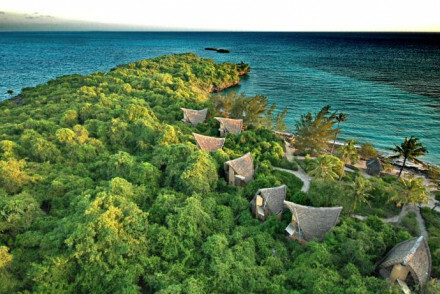 Magical Robinson Crusoe-style eco lodge on Chumbe Island. State of the art, environmentally friendly bungalows provide simple but comfortable accommodation. Candlelit beach dining with excellent cuisine. Ideal for honeymooners and nature revellers alike. Eco break - Fully protected coral reef sanctuary, forest reserve and eco-lodge, pioneer in marine conservation and eco tourism. Back to Nature - Forget your gadgets and be brought back to nature with an entire island to roam, encased by white sand beaches. Diving - The scuba-diving in the reefs outside the sanctuary (it is forbidden inside) is utterly spectacular. Six luxurious villas and a sophisticated restaurant with a relaxed feel and terrific location. Rustling coconut palms, white powder sand and the warm waves of the Indian Ocean combine to create a stunning recluse for the discerning traveler. Sailing - Try sailing in the Indian Ocean this holiday, we offer daily lessons to experience to sport and hiring for the more experienced. Cooking classes - Cooking classes are organized regularly where guests learn to prepare some classical Swahili dishes. Swimming Pool - Each villa has a private plunge pool, and all have acces to the main pool overlooking the sea. Restrictions on children - Children older than 16 years are welcome. Exclusive private island and haunt of celebrities. Thatched-sided bandas sit on stilts along the beach with stunning views out to sea. A personal butler attends to all ones needs. The coral reefs make for excellent diving. The ideal spot for a romantic getaway. Honeymoons - Think candlelit dinners under the stars, longs walks along pristine white sand and secluded lodges with plush fourposter beds. Beach Life - Make the most of this private tropical island paradise, with snorkelling, fishing, beach combing and whale spotting. Diving - Mnemba Island has its own dive center which provides a range of activities for all levels of skill. Kayaking - Paddle the turquoise seas in a two man sea kayak, the perfect way to explore the coast. 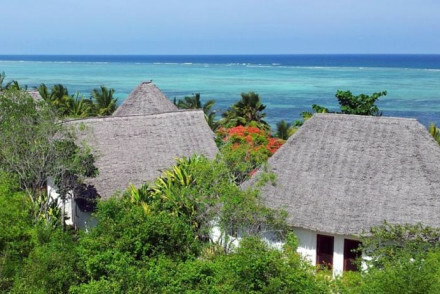 Eco chic villas with thatched roofes perched above a white sand beach. Individual bungalows and villas with private balconies and hammocks looking out to sea. A secluded spot offering total relaxation and intimacy for honeymooners. Plenty of sea activities, from big game fishing to scuba diving. Beach Life - Right on the most beautiful beach, overlooking the Indian Ocean, with diving, snorkelling, kayaking, swimming and beachcombing. Honeymoons - Tranquil, laid back and wildly romantic- swing on your double hammock, sip cocktails and dip in your private plunge pool. Diving - The on site dive school, Dhow Divers, offers outings for both beginners and experienced divers on nearby the Mnemba reefs. Sailing - Sail on the hotel dhow or with a local fisherman on his ngalawa and hopefully spot some whales and dolphins! 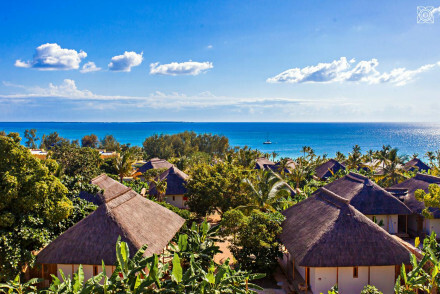 Luxury-style villas set on a beautiful beach facing the Indian ocean. Interiors are beach-chic, with white washed walls, carefully positioned driftwood and pops of colour coming from the soft furnishings. Offering a pool and a pampering full-service spa. A spoiling tropical beach retreat.